On a recent trip to Portland, Oregon to visit friends, I was surrounded by restaurants boasting the plant-based cuisine I love to eat. My friend, Danielle, told my husband, Travis, and I that kale was literally everywhere, including sitting on the pavement outside of her car one night! She said that nearly every restaurant offered a kale salad of some kind and that got me thinking about a kale salad recipe that I really enjoyed back in Arizona. Another friend, Lissa, introduced me to a yummy kale salad recipe that she obtained from a colleague. The salad was simple, with the only vegetable being the kale itself. It was dressed in a mix of lemon juice and olive oil and topped with finely grated parmesan cheese. This recipe inspired my Green Salad Formula, which is a healthier, plant-based version of the greens. When I make a green salad, I like for the only vegetable to be greens so that I’m consuming a large quantity of them. Kale, in particular, is high in fiber, iron, and calcium and packed with antioxidants. A true super food! 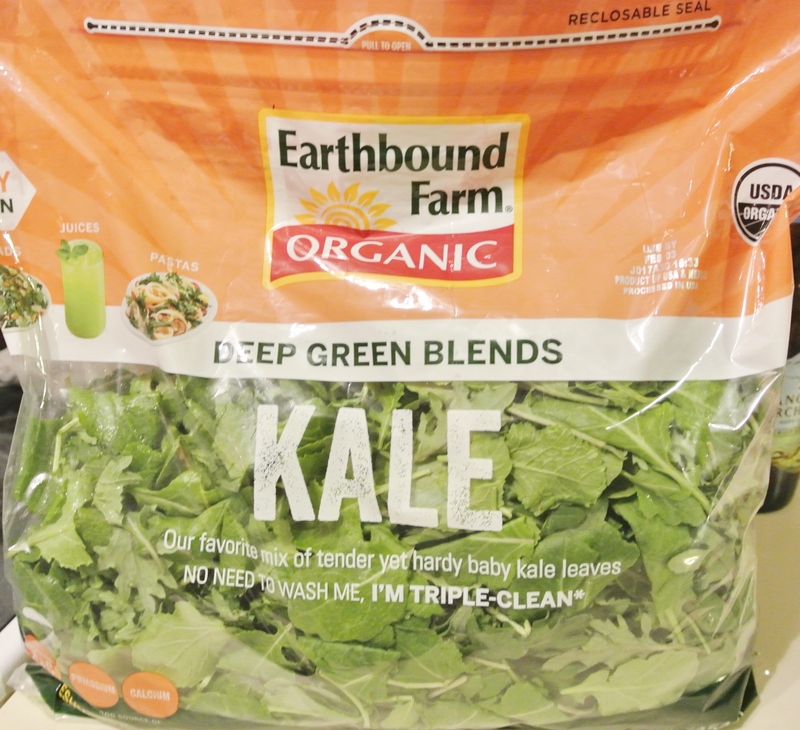 This mix boasts a variety of organic baby kale leaves that are more palatable in a salad than their adult counterparts. I add a little protein and crunch to my kale salad with the addition of raw sunflower seeds, almonds, and cashews. 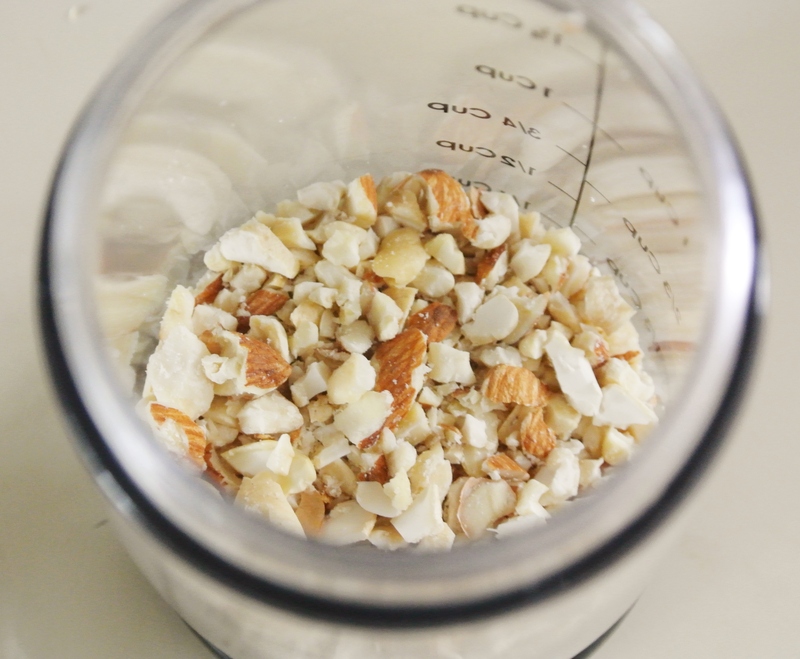 Cashews mimic the flavor of parmesan cheese, so I use them as a cholesterol-free substitute. Finally, I make a lemon vinaigrette dressing for this salad that is fat free. The aforementioned kale with parmesan salad includes a dressing that is largely oil and in my opinion, too fattening when paired with cheese, or in this case, nuts. I add a hint of agave syrup to balance the tartness of the lemon juice and no oil whatsoever. Enjoy! 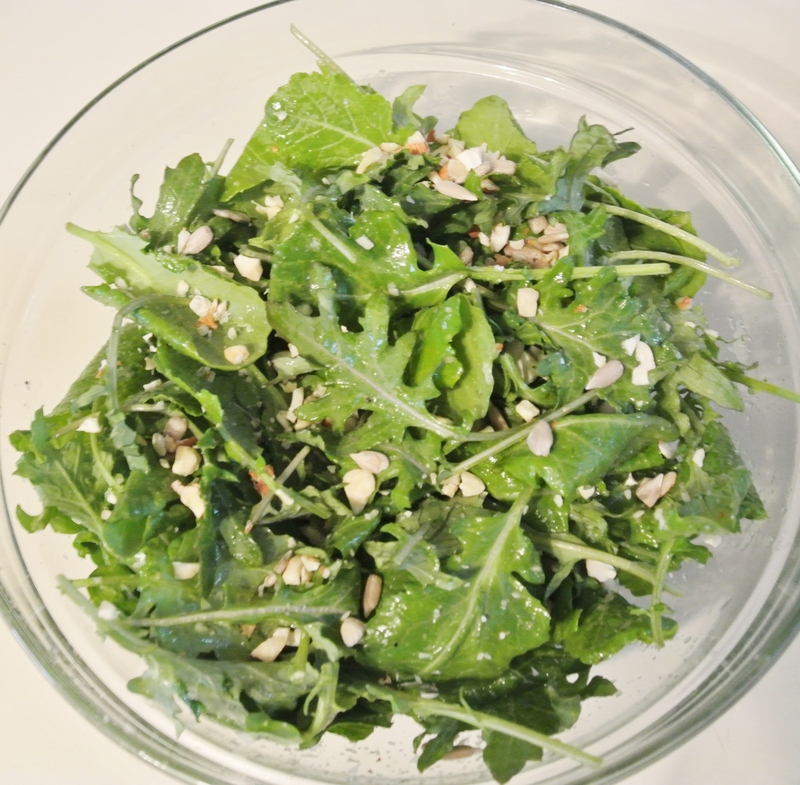 4 cups fresh greens –> I’m using a mix of baby kale leaves. 2 tbsp dressing of choice –> I’m using a homemade lemon vinaigrette. 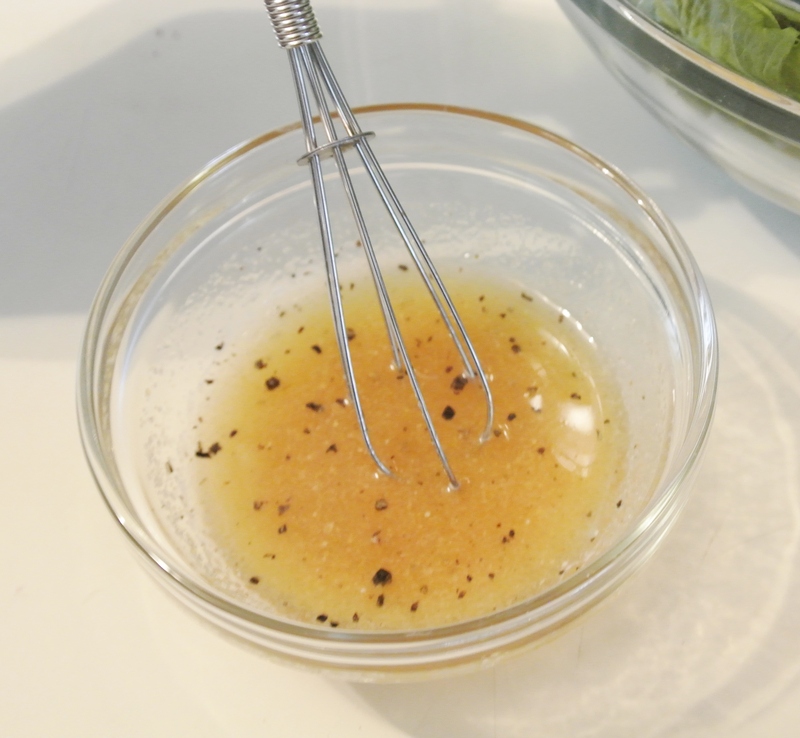 Mix the salad dressing with a small whisk and set aside. 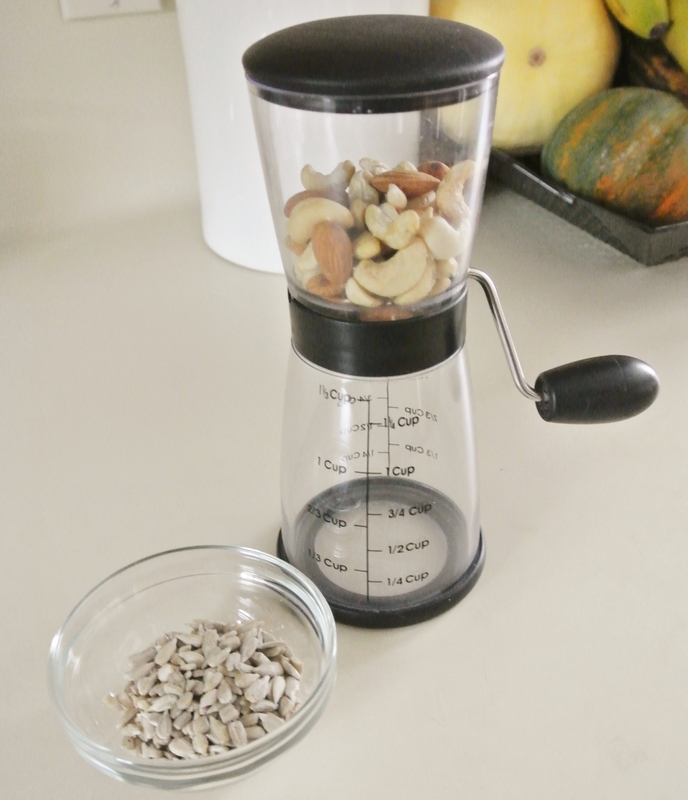 Put the nuts through a nut grinder or chopper, or finely chop by hand. 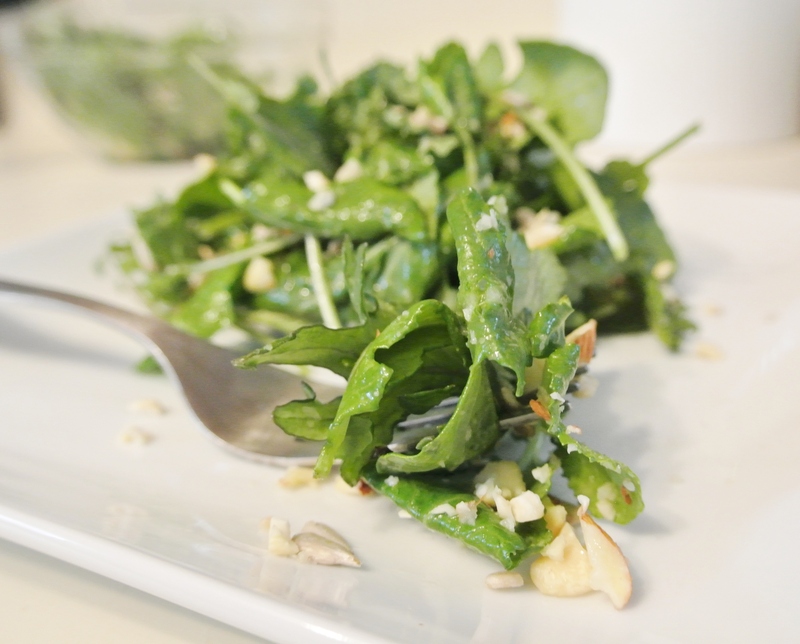 Toss the kale in the lemon vinaigrette and top with the sunflower seeds and chopped nuts. ← Dip, Salsa, or Square Meal?